What do stairs, cakes, first dates and fishing have in common? Join Jonnie, an over-worked, underpaid, stressed-out entrepreneur who's trying to make his way in the world. Can a long lost friend save him from financial ruin and failure? Are 10 simple business principles enough to avoid the inevitable tragedy, and allow Jonnie to triumph? Find out in this heart-warming story every business owner needs to read. 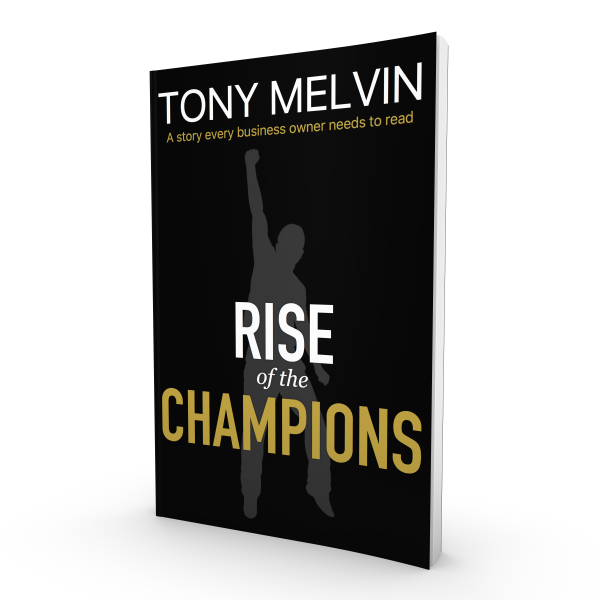 Rise of the Champions is a heart-warming story of a struggling entrepreneur. I wrote it to be funny, entertaining and straight to the point, in the hope that you can quickly see the power of these simple principles and put them to work in your business.